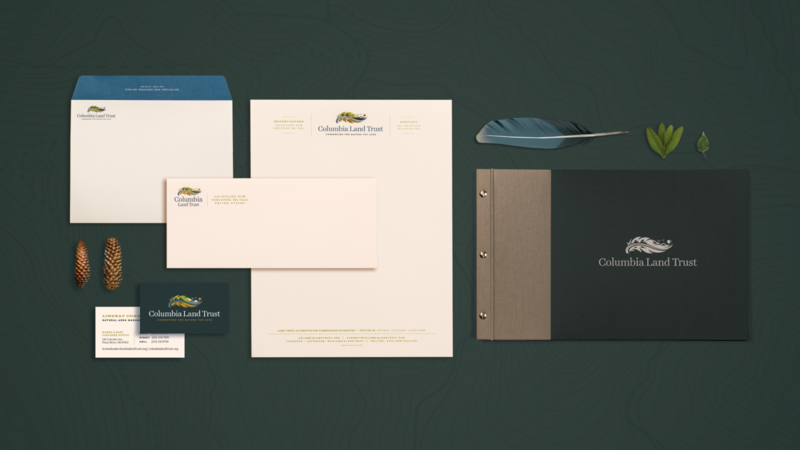 Columbia Land Trust wanted more than a logo evolution. They wanted a revolutionary mark. It was basically a unanimous agreement on our board that we had succeeded wildly with our rebranding and redesign process. We also had increased web traffic. We’ve had overwhelmingly positive feedback. 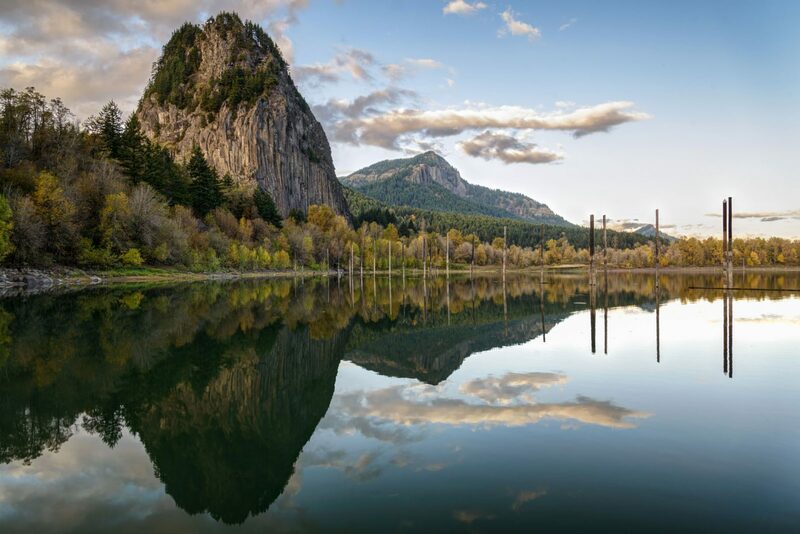 Formed in 1991, Columbia Land Trust looks after 29,000 acres, stretching from the east side of the Cascades to the Pacific Ocean, in both Oregon and Washington. 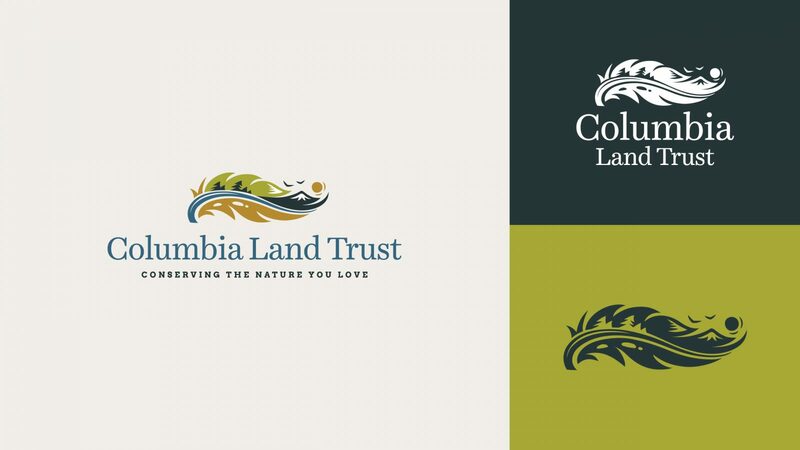 It’s been 30 years since Columbia Land Trust updated its logo. 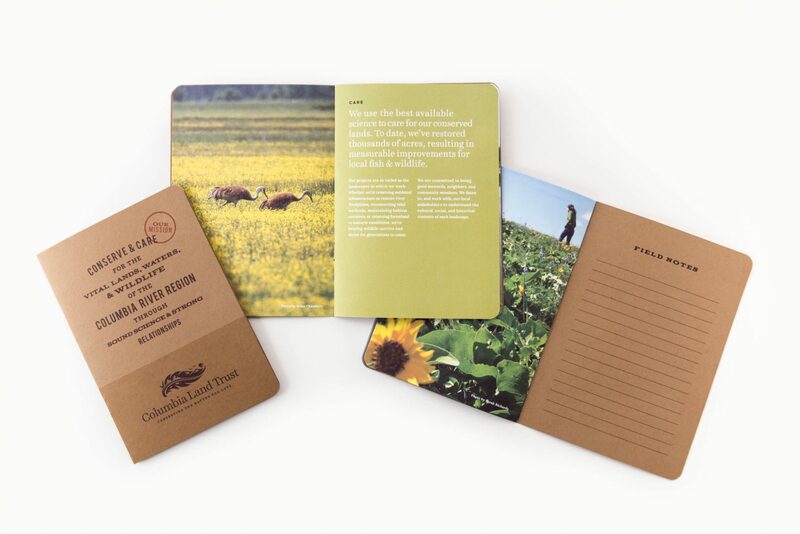 The organization felt like it had outgrown its old one and needed something fresh that would appeal to the next generation of conservationists. 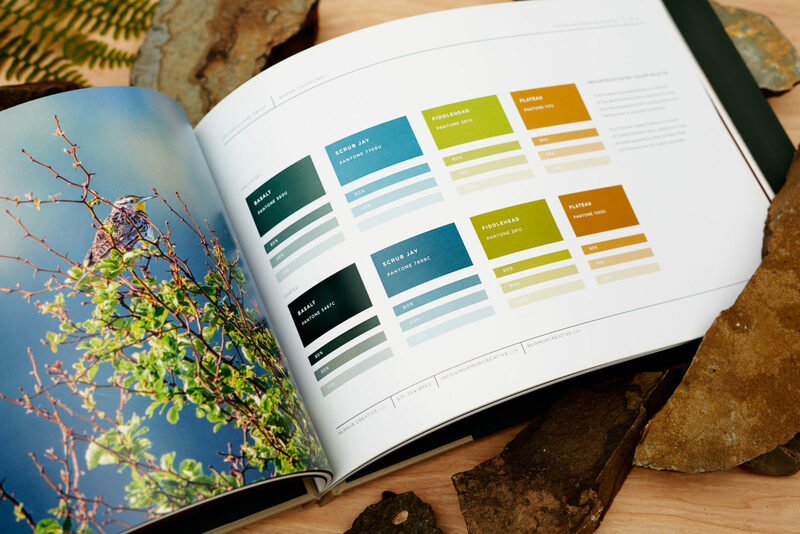 We worked closely with Land Trust staff to pull a color pallet that captured their work, one that would also typify the landscapes they protect, and to incorporate natural elements from the many ecosystems that exist in the lands that they manage. 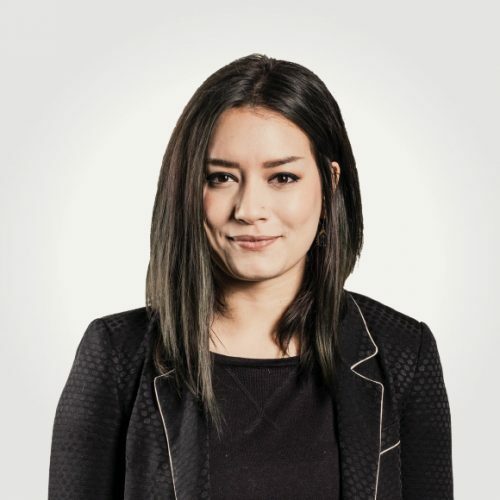 The result was a new look that reveals the grandeur of nature through the quiet power of a single feather. 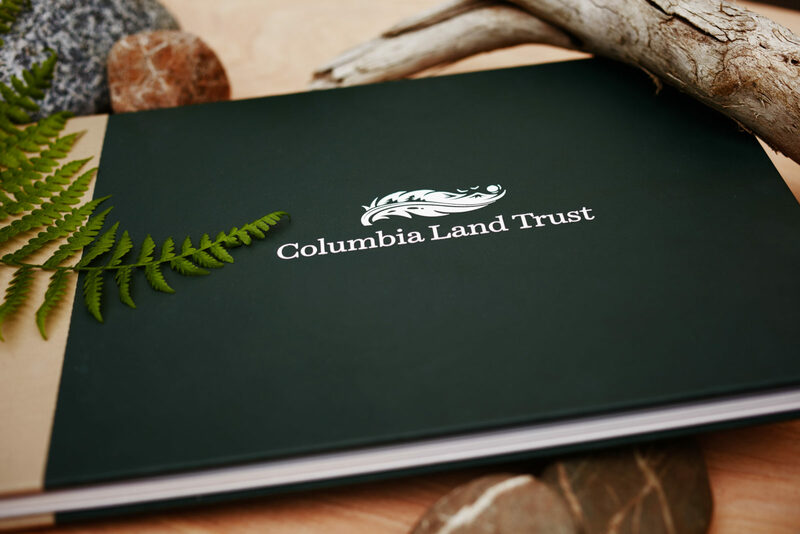 As a result of their new mark, Columbia Land Trust saw immediate results. 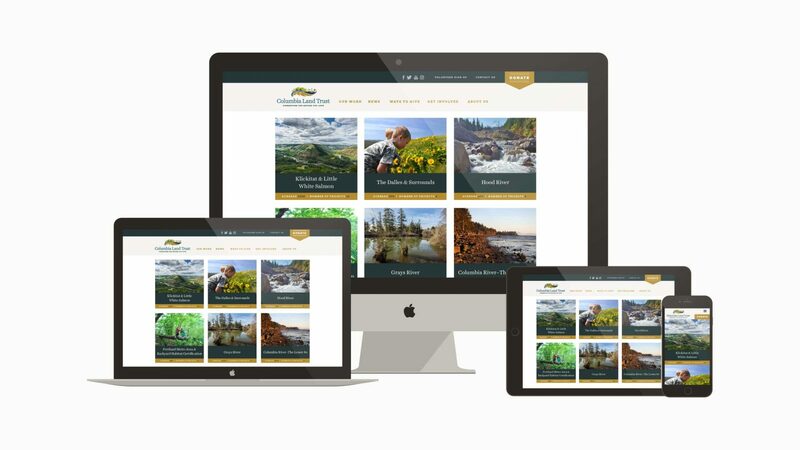 In the month following the new logo launch, web traffic was up 84% over the same period during the previous year. Users were up 73%, and page views are up 67%. The new logo announcement on Facebook reached 3,800 people (which is double the number of followers). It was their most viewed content in 10 months. 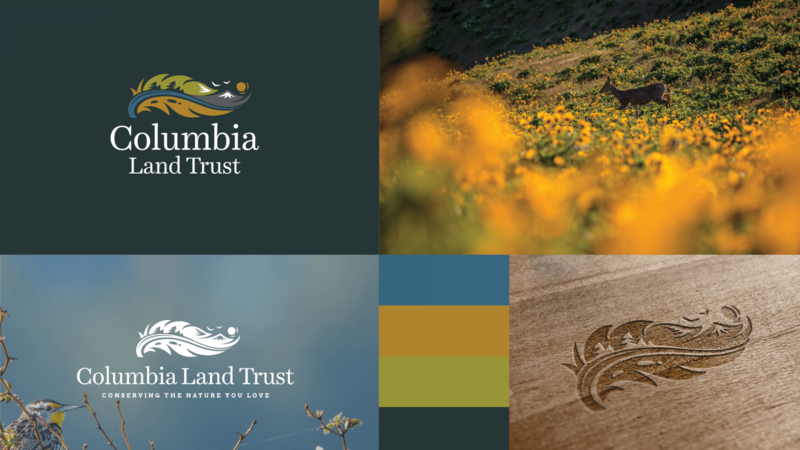 Columbia Land Trust’s new mark captures a sense of the experience of being in nature: grand beauty in the minutiae. Let’s create something awe inspiring!